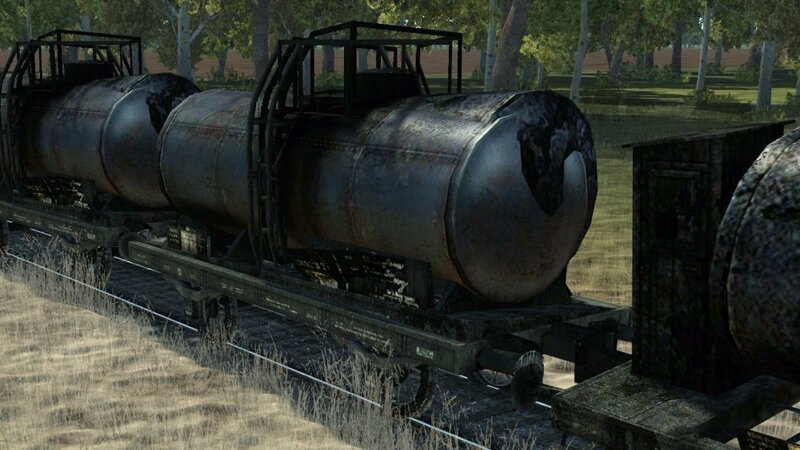 Adding to my previous post, on closer inspection It also appears that for Soviet trains at least, that the Loko's Coal Tender may no longer display any kind of damaged model. I have not checked this for German trains, but will do so and report back. Detailed description: Irrespective of the graphic settings and the mirror, an error occurs in waters (especially the sea). 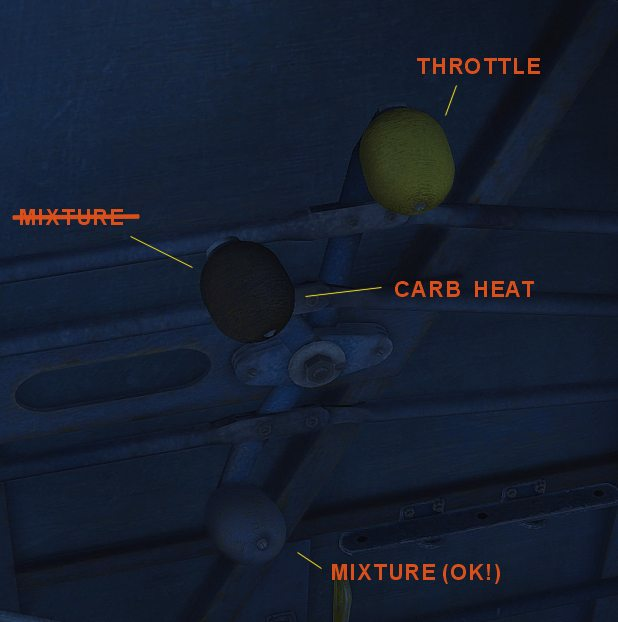 It seems that part of the texture just doesn't exist. Maybe it has something to do with a render area. I then tested various graphics settings and still had the error, as I said before. I only noticed it since the last patch 3.008. Detailed description: I think the bug is related to the point 4 from the 3.008 patch notes; the "Additional renderer optimizations for sea maps..."
JOY1_BTN9 is for closing the water radiators. If i am activating JOY1_BTN9 for closing the water radiator, the animation on the cooler controller says AUF instaed ZU. It should be the other way around. It's actually correct. 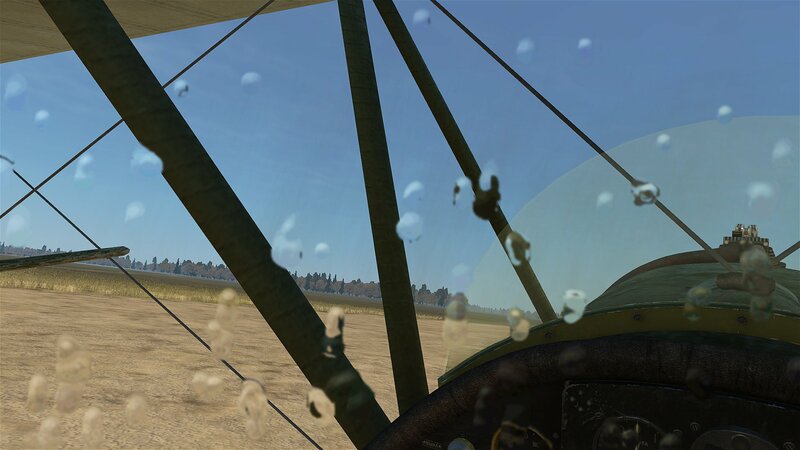 Rain in clouds is overdone in other planes, you usually don't get drops on your canopy (in a real flight) with the gentle stratus or stratocumulus clouds modelized in IL-2, you'd need at least nimbostratus or cumulus clouds. 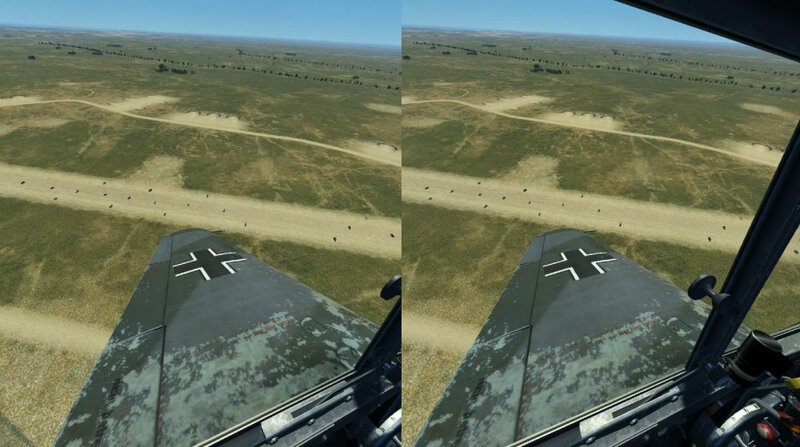 Detailed description, conditions: Depending of the angle you look at the canopy shadows on the plane (Me 100 E2) part of it is disappearing/appearing. The canopy itself was intact. The tunnel is a decoration, in fact the train collides with the wall on which the tunnel is painted. In the future we want to develop more realistic tunnels. Brief description: White dots on trees on version 3.001. 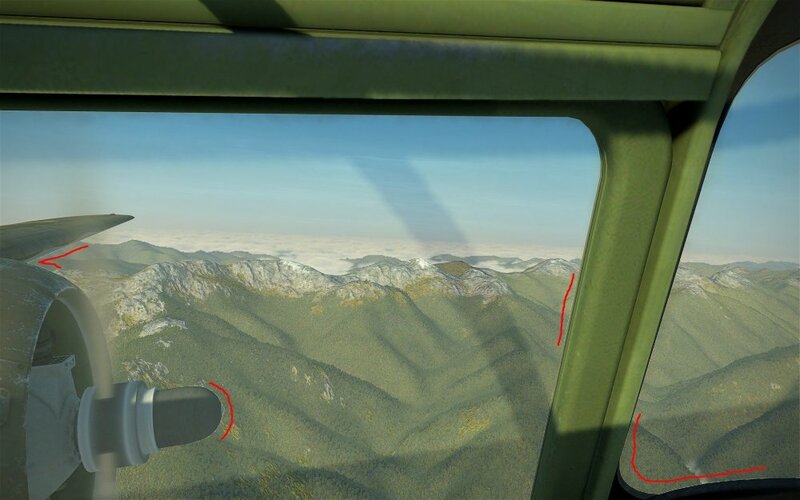 Detailed description, conditions: At certain zoom levels, on version 3.001 trees still appear to be rendered with some kind of 2D overlay in front with white dots on it. Additional assets (videos, screenshots, logs): Screenshots below. Detailed description, conditions: The thumb on the co-pilot's right hand, goes through part of the steering wheel. 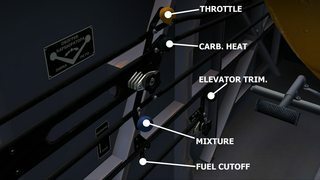 This applies for both level flight and when the aircraft is sitting idle on the ground. While I could imagine the odd clipping during drastic manoeuvres, the reported problem applies to the default, level-flight state. 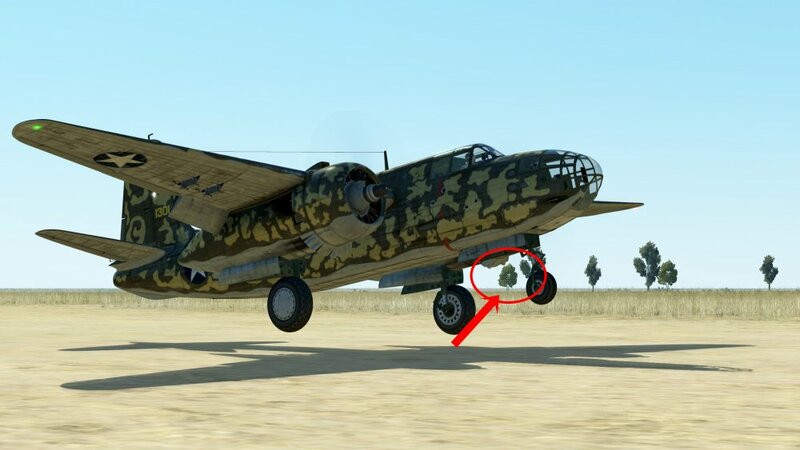 Probably could be fixed by raising the entire co-pilot model by 1 cm (we wouldn't notice a 1cm gap at the feet, but the hands are really obvious). Additional assets (videos, screenshots, logs): Screenshot posted below. Your PC config data (OS, drivers, specific software): Windows 8N1, 64bit, 16GB RAM, nVidia G960M. Default BoS game (Steam ed. 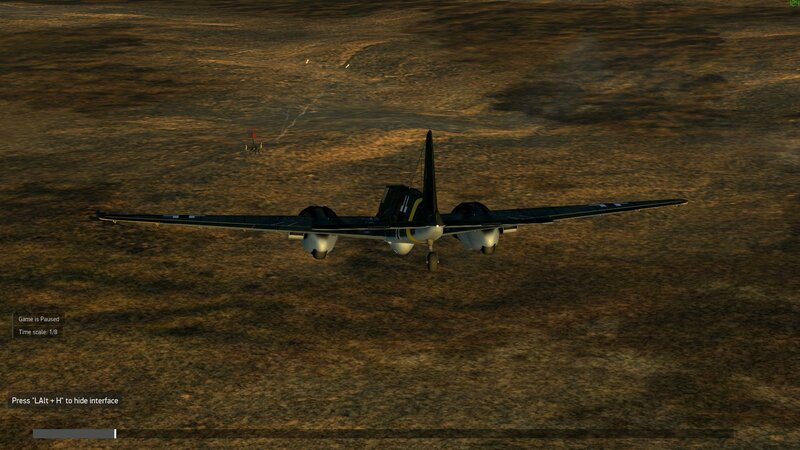 ), with store-purchased Ju52/3M. No mods. Brief description: German torpedo boats are unable to fire flares. 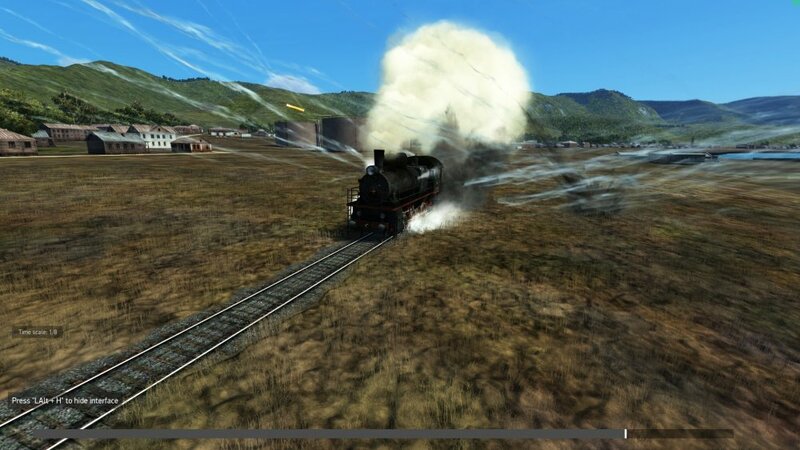 Detailed description, conditions: German torpedo boats can't fire flares correctly. Sometimes no flare is visible, but I've also seen, that flares are fired directly into the water. So the bug might be that flares are fired downwards, not upwards by German torpedo boats. 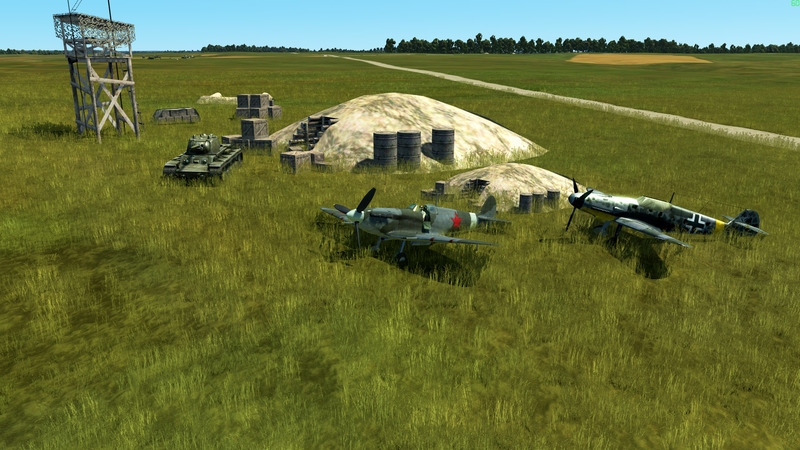 Additional assets: Attached test missions with German and Soviet torpedo boats. 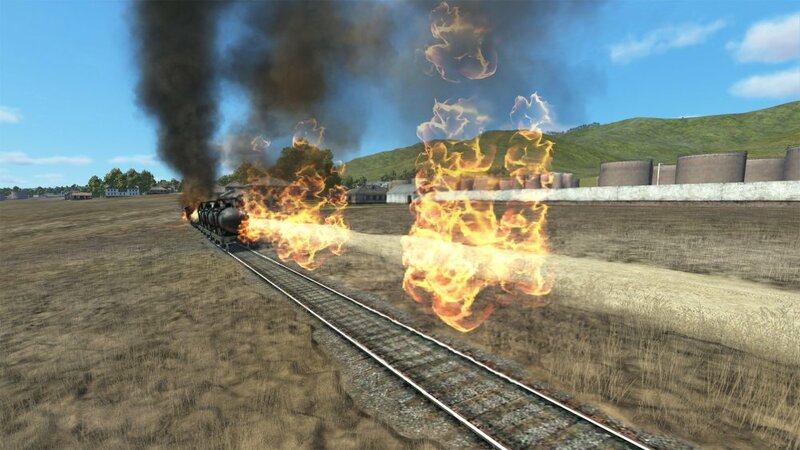 Both use the same fire flare commands, but only the Soviet boat is correctly firing flares. 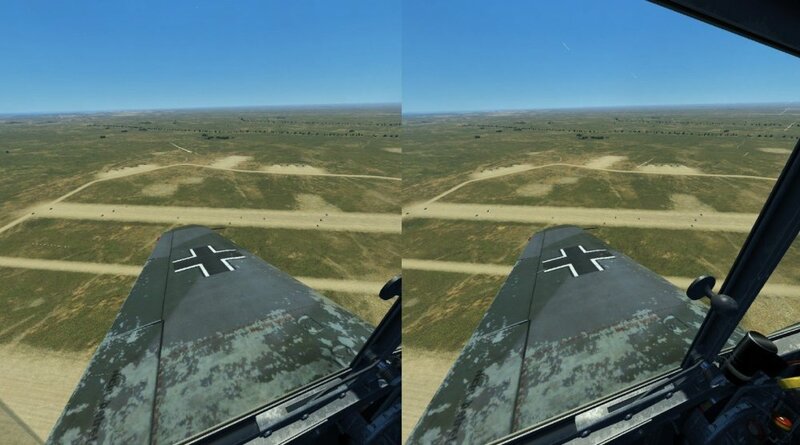 Detailed description, conditions: In all available photos of Bf 109G i have found this item is placed far lower than we have in the game. Additional assets (videos, screenshots, logs): Screenshot and photos posted below. 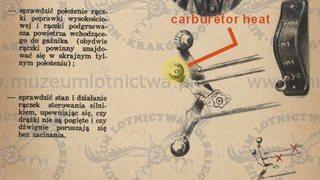 Seems like was be two variations of the Trockenpatrone (drying cartridge). Brief description: During dusk the shadows were creating a strange circular artefact with the clouds, we were 4 or 5 to whitness this glitch with several different configs so my PC config is irrelevant even some who use VR saw it. 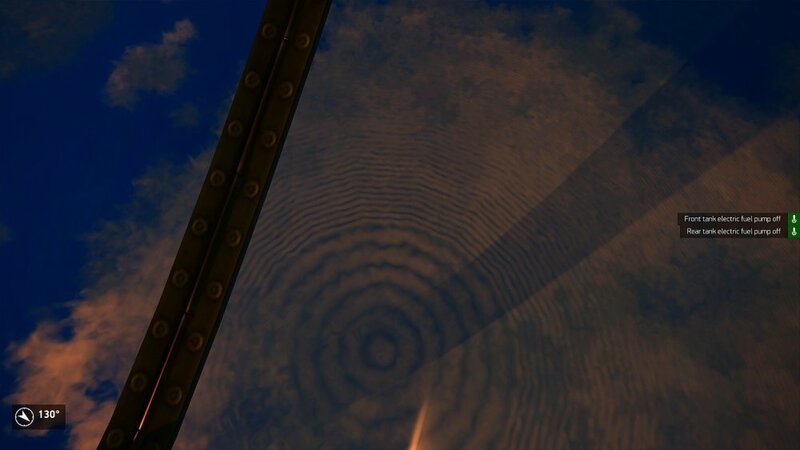 Detailed description, conditions: Appears during dusk with the sun barely poking over the horizon, we were on an airfield and the artefact appeared when looking up after spawning and while on the ground, the issue dissapeared after taking off and moving/climbing away. Such a scene occurs with a certain light and thickness of the clouds, which is difficult to repeat. If someone has more detailed information or a file with a mission, it can simplify our work. Detailed description, conditions: On the left side is XW not WX. Right side is correct. Fault cannot be reliably cleared by restarting game. Fault was not cleared by full deletion of game and re-install. Thank you, we track all the errors associated with the bomb sight and try to correct them. Brief description: Sea texture up the shore. 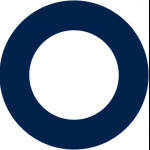 Additional details: System in signature, latest WHQL drivers and Windows updates. Screenshot attached. This is LOD issue, cannot be eliminated without compromising optimization. 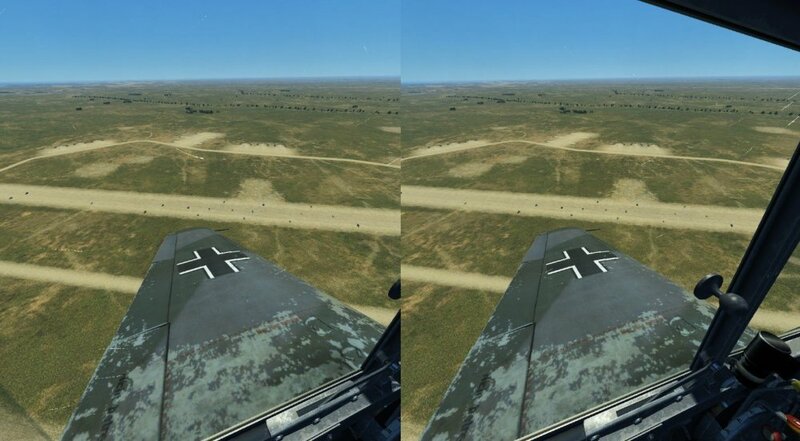 Detailed description: In Stalingrad map, between sectors 1029 and 1129, a long straight line is seen in one of the ground textures, as if it is cut.  See attachments for pictures and map location. 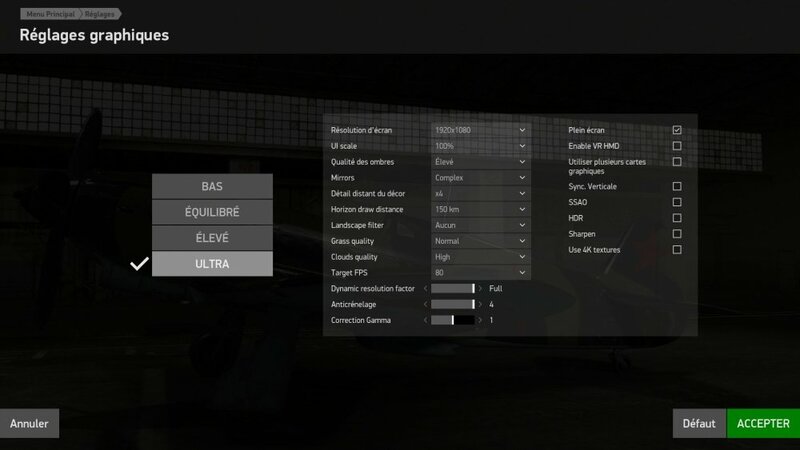 Additional information: Il2 v3.006, ultra preset, observed with different graphic settings. 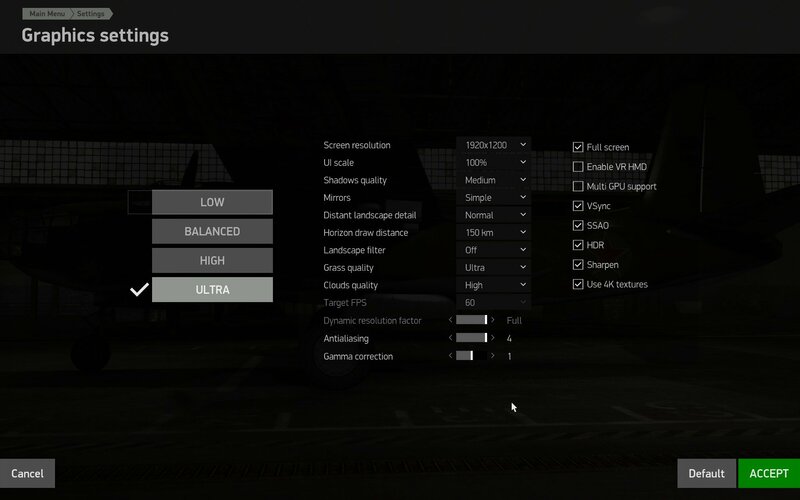 Nvidia 1080 GTX (driver v416.16). 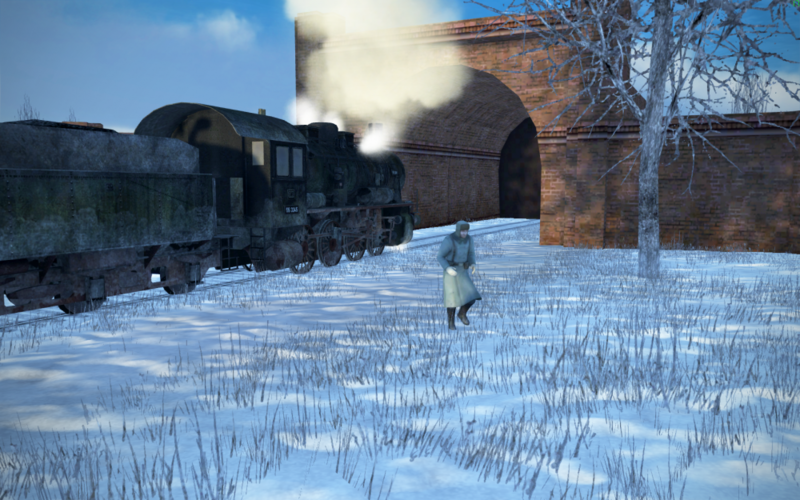 Spotted that on the stalingrad map, might be an issue for the train. I like to report what I think to be a bug, in that the models for the non braked versions of the railway tank wagons seem to display both the non destroyed and a destroyed models at the same time, when the units has been destroyed, whereas the wagons with the brakeman's cabin appear to display correctly see images below which were taken on the Kuban MAP. 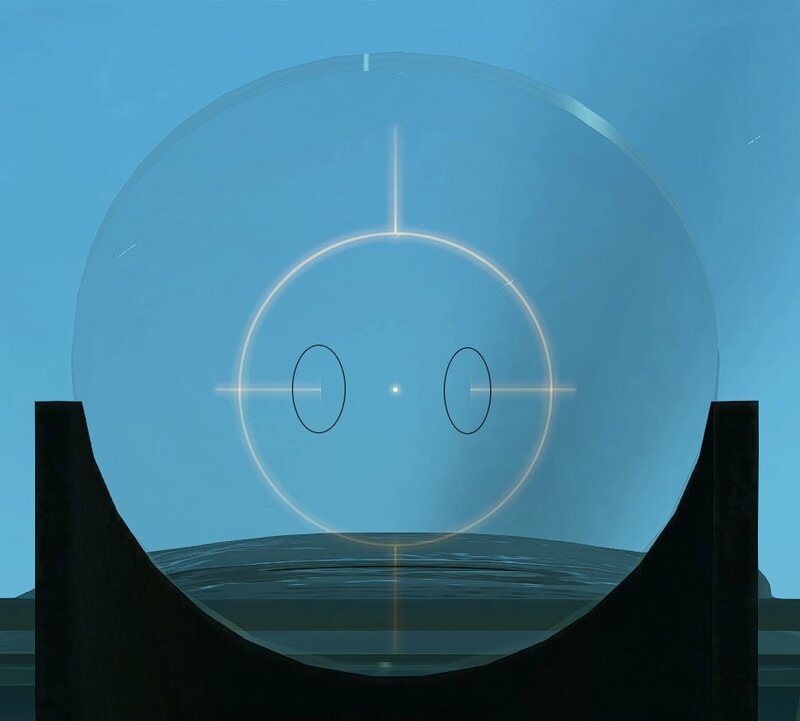 Center of the reticle is cut off by something like square!? look at the no glowing part. Such a scene occurs with a certain light and thickness of the clouds, which is difficult to repeat. If someone has﻿ more detailed information or a file with a mission, it can simplify our work. I'll get the mission file next time I see it, now I don't think I can find it anymore. In the meantime, like I said it's occuring at dusk when the sun is starting to rise over the horison and as for the cloud type I let you be the judge of that. 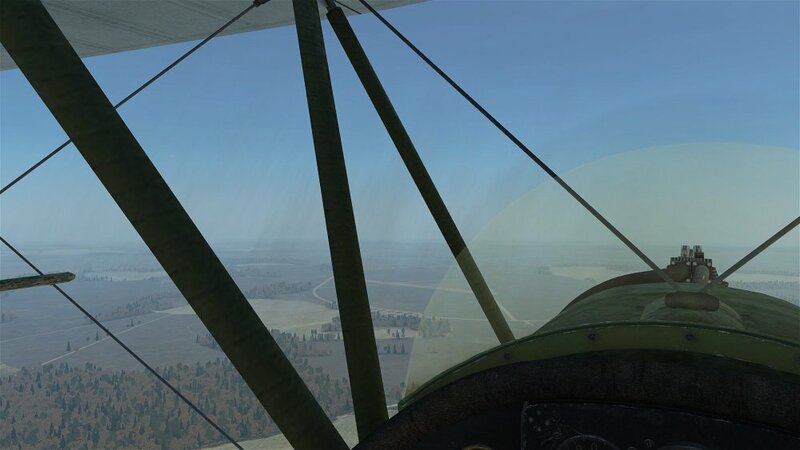 Brief description: flickering P-47 canopy in F2 view. Detailed description: when "cinematic" camera option is enabled, switching to F2 view and rotating camera with moderate speeds causes the perspex part of P-47 canopy to blurr out and flicker. It seems the algorithm responsible for blurring the terrain and any fast moving elements of the rendered scene in cinematic mode works on the perspex as well, even though it's one of the slow moving objects, being located close to camera rotation point. 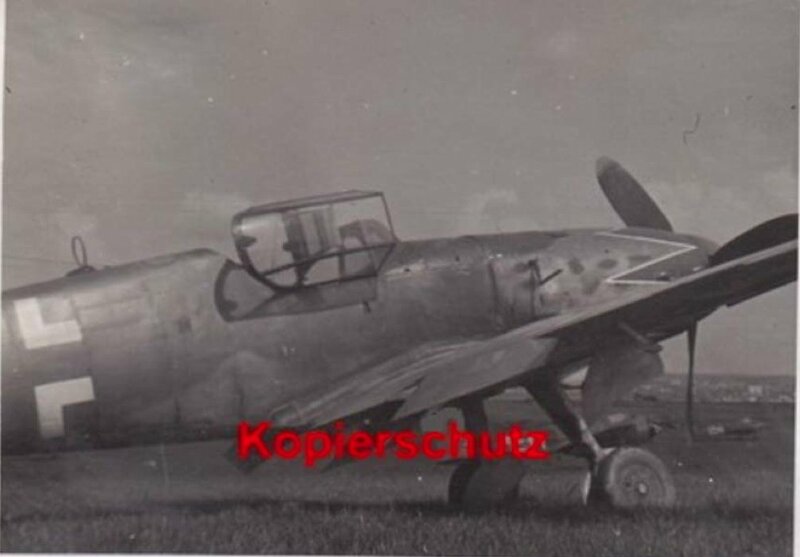 Brief description: bf109 K-4, Can't see cockpit lighting from outside. Description: error in antenna cable placement. 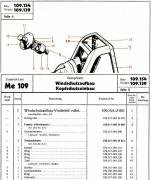 Detailed description: model BF 109 K4. It has to be closer to the cockpit. We cannot understand why this is happening, so it will take us a long time to fix it. As soon as possible we will fix it. Detailed description, conditions: This happens only in VR as far as I could test it. 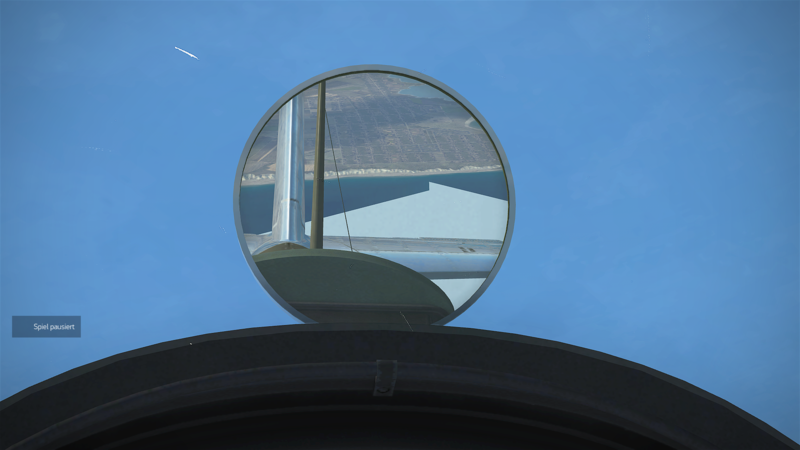 When selecting the rear cockpit and then try to look to the bombsight in the right wing the window jumps around. Looking at the base of the left wing is not a problem. 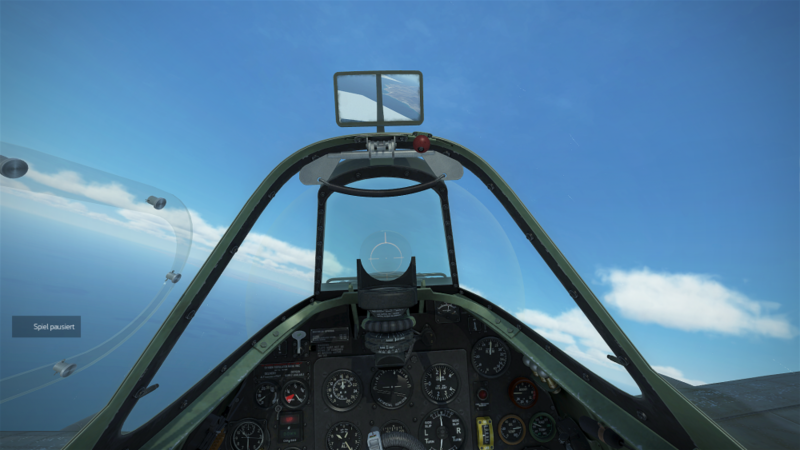 When you activate the rear gun (select 'T') then you can look into the bombsight. When useing/rotating the stabilizer wheel in both directions (back or forward) i cant hear any sound. 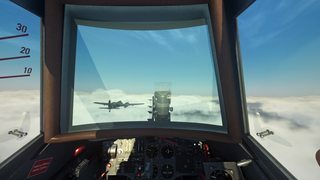 There has been some "ghost plane" episode during some sessions in TAW. Airplanes that appear suddenly or are not seen prorpio. I did a track of the episode I attended. 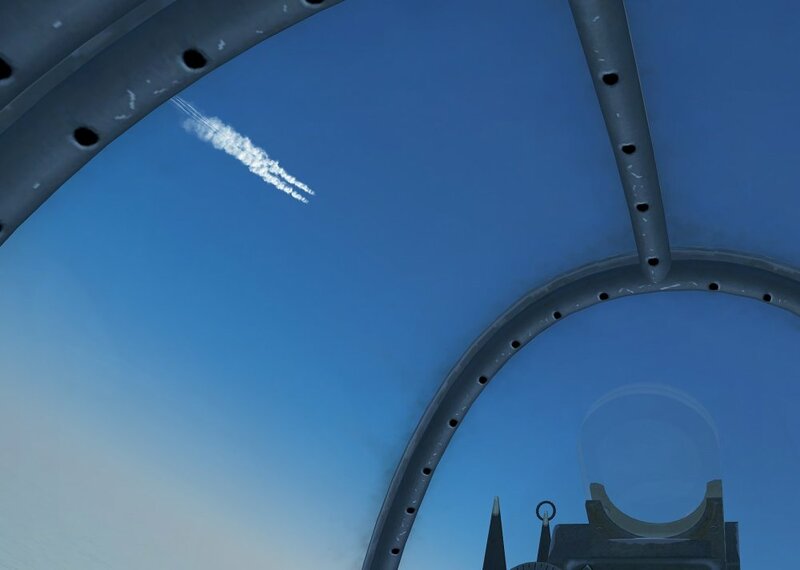 Bomber at high altitude could only be seen from the contrails. On the post dedicated to the TAW there are other reports. When canopy is open pilot head can pass trough front canopy frame. 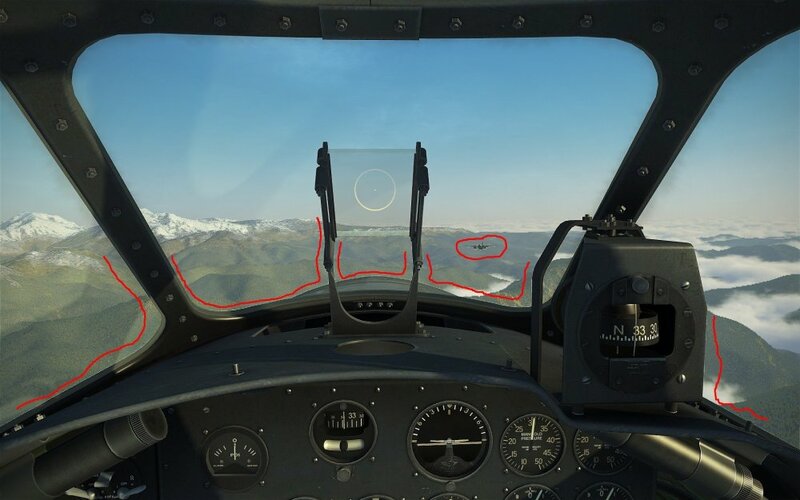 Best seen in the screenshots, there are white contours around the cockpit frame, the wings, engine, and other airplanes. They really stand out over ground and forest by contrast. Most are also visible at night which makes night mission very bad. Those artefacts change with time, depending on the angle, so they are very distracting. I haven't noticed those artefacts before, or not to that extend, it seems very recent, probably with 3.009. Anti-aliasing is not disbled in the nVidia driver, those are the standard settings (decided by the application), and antialiasing is set to max in the IL-2 options (see screenshot). It doesn't seem to work very well, though, most contours and features like antenna wire, for ex. 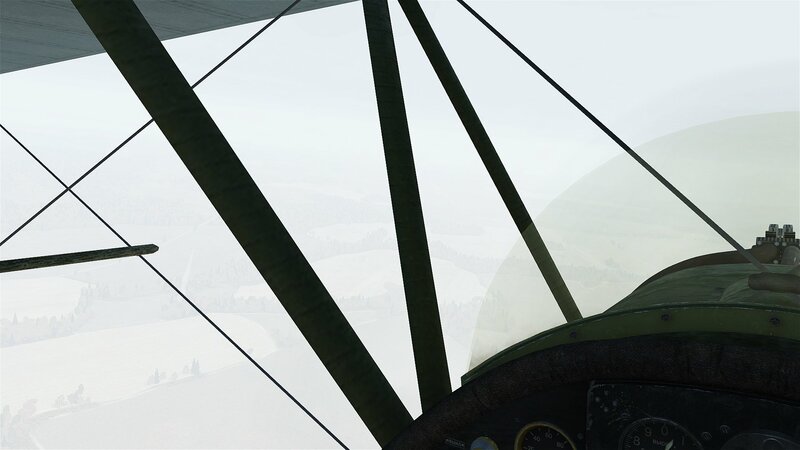 in the main game screen in rotation around an airplane, show very visible aliasing as long as I can remember in IL-2. Perhaps both issues are linked even if the reported issue is more recent? 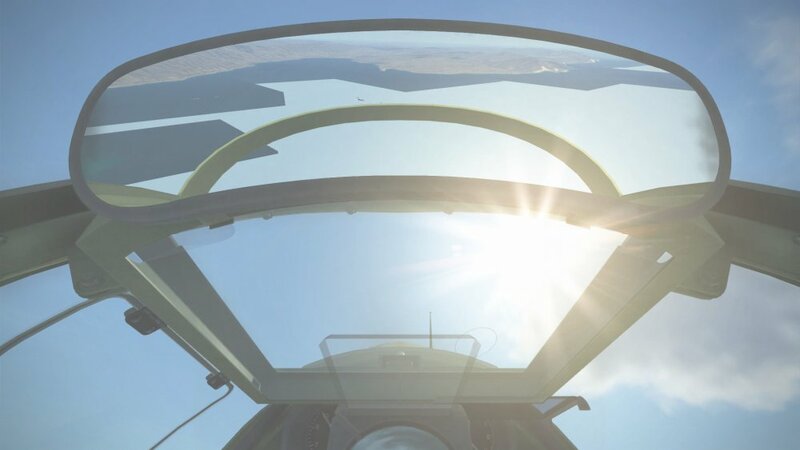 The U2-VS is missing the bomb release levers in the front cockpit, although the frames to hold them are shown. 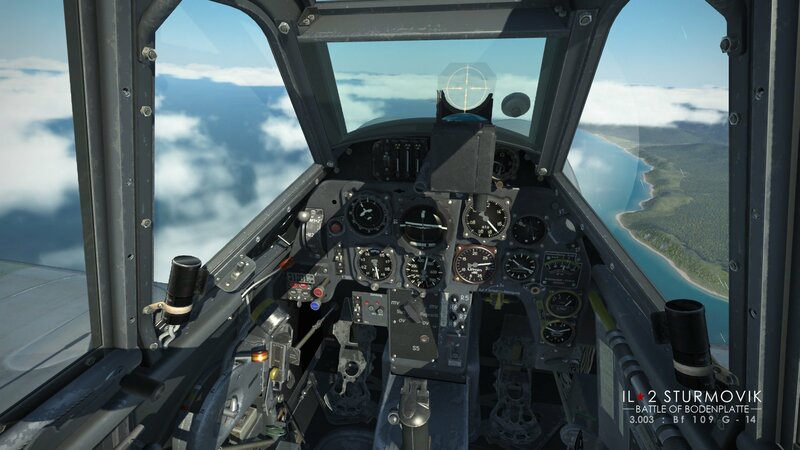 However, it is possible for the player to drop the bombs whether he/she is in the pilot's or observer's seat. 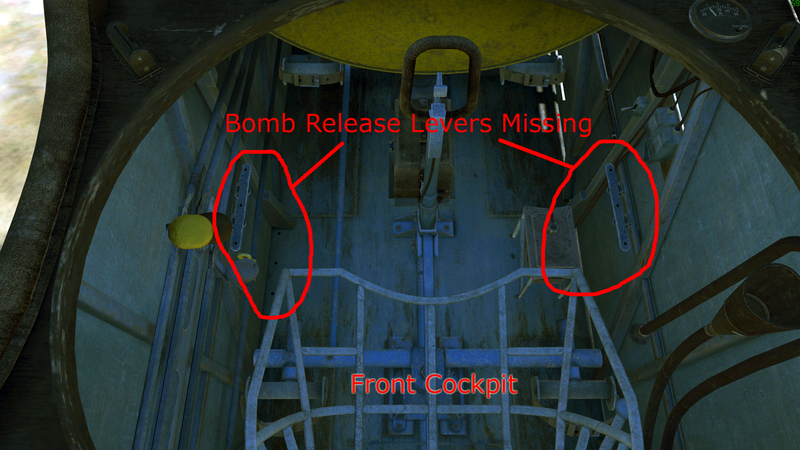 Even when the observer/gunner is dead the bombs may still be dropped by the pilot. 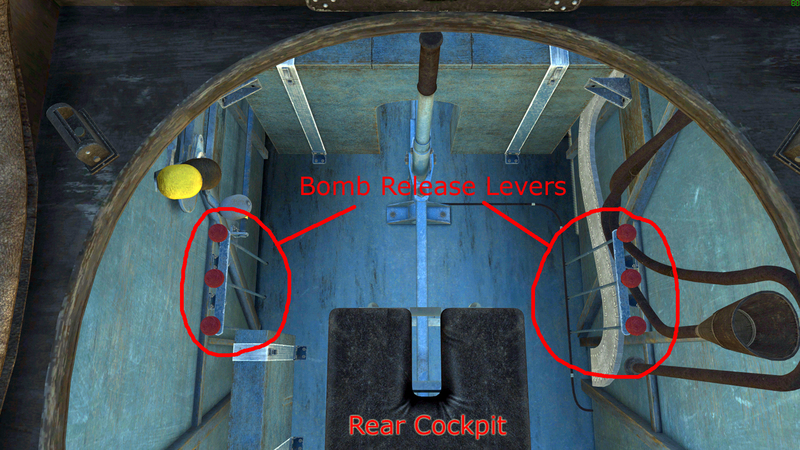 b) prevent the player from dropping bombs unless they are in the rear cockpit. It's a great aeroplane, nonetheless! 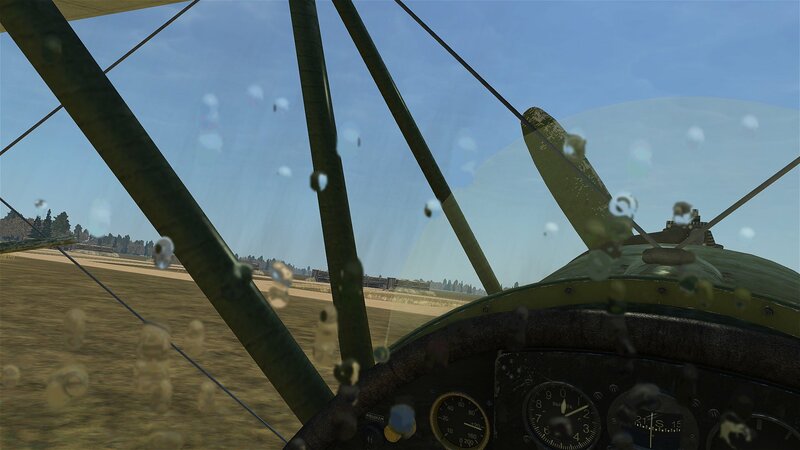 Detailed description, conditions: A BF 109 G-6 canopy handle appearing transparent in multiplayer server. 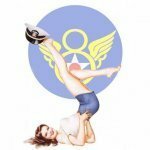 So, i delete my post? 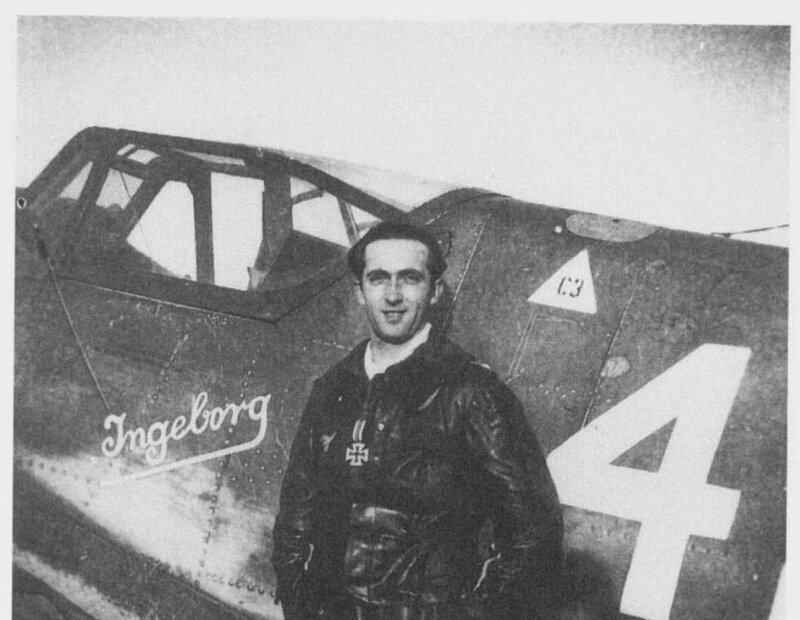 Just so you know, none of the Bf 109s right now have a sound for their horizontal stabilizer wheel. I tried with some non-historic skin I made. Everything seems to work fine, skin is correctly listed under custom skins in the menu . . . but then only the inside of the tank seems to change, which is weird. The skin is correct, because when I put it in the location of the default skin (graphics/vehicles/_t34-76stz/textures) it shows up in gameplay as the (new) official skin. So it can't be the skin itself that is the problem (since you can see the Red Star). DDS settings are correct, length of name is correct, skinfolder is correct (skins/_t34-76stz) . 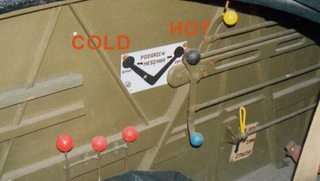 . .
As you can see in the screenshot, the interior of the open hatch (t34-fp.dds) is replaced by the rainbow colored panel finder skin. Hi, have you tried any other "not rainbow" skins on tanks? Same bug? If you send me your skin, maybe we can understand the reason for this error. Yes, I tried the other two skins in the screenshot seen listed above the panel finder skin. All three are seen on the hatch instead of the outside skin of the tank. Everyone of the three replaces the t34-fp.dds instead of the t34.dds (or t34_su.dds). If I take the same skins and use them to replace the original tank skin in graphics/vehicles/_t34-76stz/textures they all show up correctly like the one with the red Star on it. The doesn't seem to be the problem, you could just use a simple uni colored skin to test it for yourself. But I attached the skin on the following post so you can see if its okay. can't upload the skin its to big I'm told . . . I tried the other two skins in the screenshot seen listed above the panel finder skin. All three are seen on the hatch instead of the outside skin of the tank. Thanks for the detailed information, it helped us find the error. Happy to help . . . and I bought Tank Crew yesterday ;-) Keep up the great work! Brief description: Distorted textures or possibly artifacts popping in and out; occurrence seems random. Detailed description, conditions: Graphical bug that appears as quick flashes of distorted textures or graphical artifacts that occupy the entire screen for a frame or so. This graphical bug was not present in the actual game-play; it was only present in the replay footage. This never occurred until the most recent update was installed. Furthermore, my old replays have most of their audio missing after the update. To be clear I am not saying this was necessarily caused by the update. I just think it's a very strong possibility. 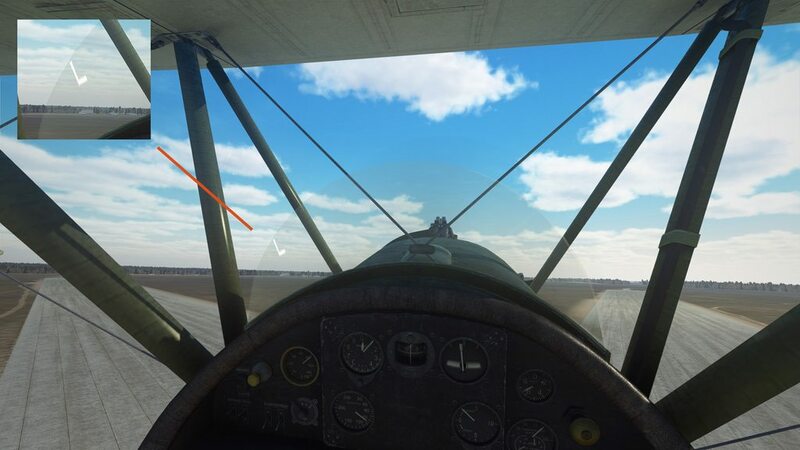 Update (2/6/19): After some more testing I've discovered that the graphical bug only occurs in cockpit view (Ctrl+F1); however not when simply viewing using F1. 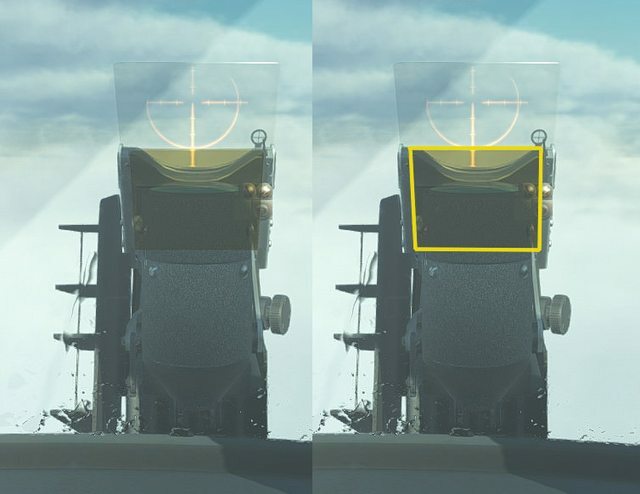 This makes me think it may be related to TrackIR/FoV. 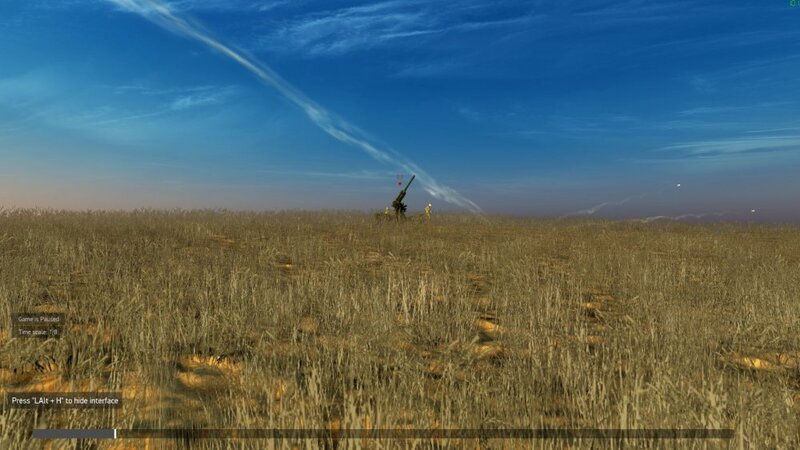 Detailed description, conditions: MG 151/20 (and possibly also MK 103) cannon rounds are prone to ricochet from the ground. It's hard to observe in real time, but clearly visible in track replays. HE/AP ammo was used. Kuban map and Stalingrad map. Brief description: VR - static vehicle blocks disappearing from view until about 300m away. 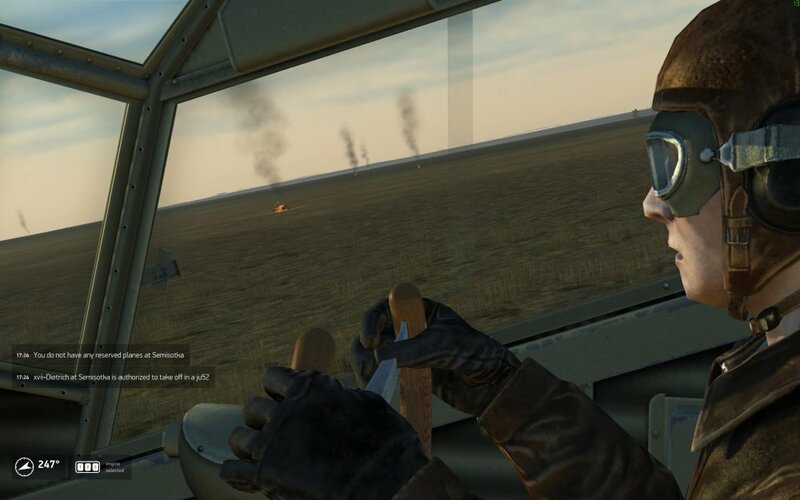 Detailed description, conditions: In VR, static vehicle targets do not appear in view until the pilot is about 300-500m away, or sometimes only appear when viewed from the side, or past target. Disappear after flying past at distance. 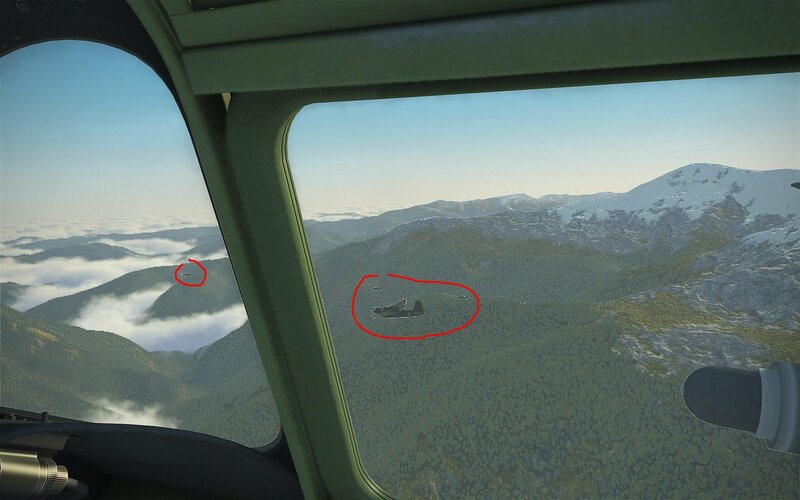 2X zoom will show them when close enough (1000m? ), then disappear when in normal view. Using an Oddessey +, but have it happen in Rift also, so I don't believe it is hardware related. Unplayable for VR ground attack. 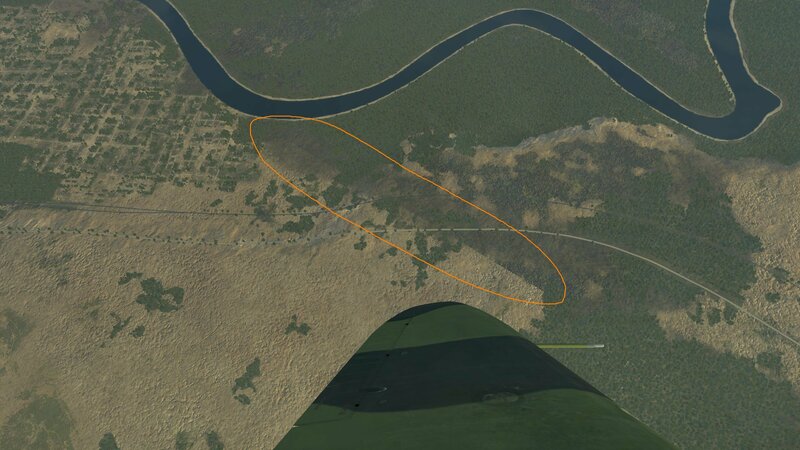 AA and bunkers, etc. seem to be showing, so it seems to be effecting just static vehicle blocks. 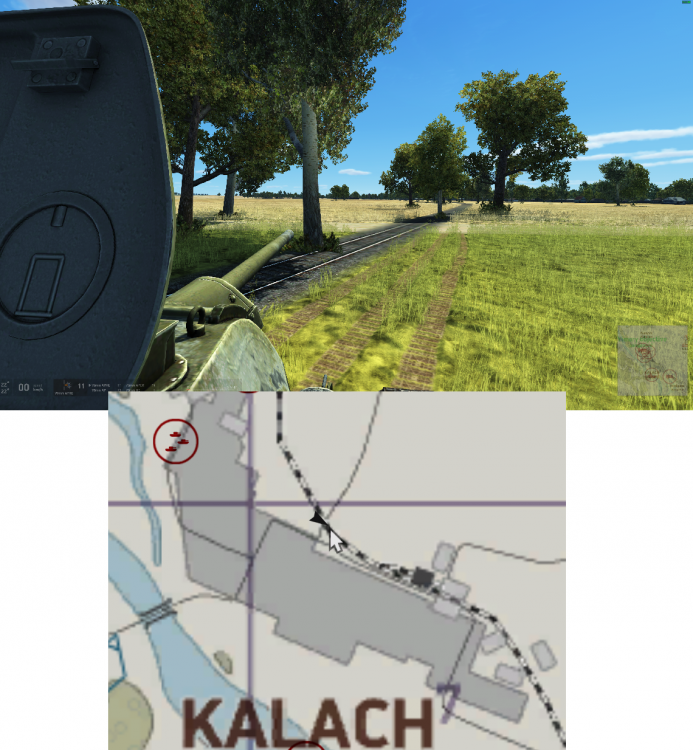 Static_opel, static_opel_fuel, static_zis and static_zis_fuel appear at about 4km, whereas VEHICLES (that you can move) appear at 10km. Appears to be a visual bubble thing. Multiple people have this issue in my squad. 2. 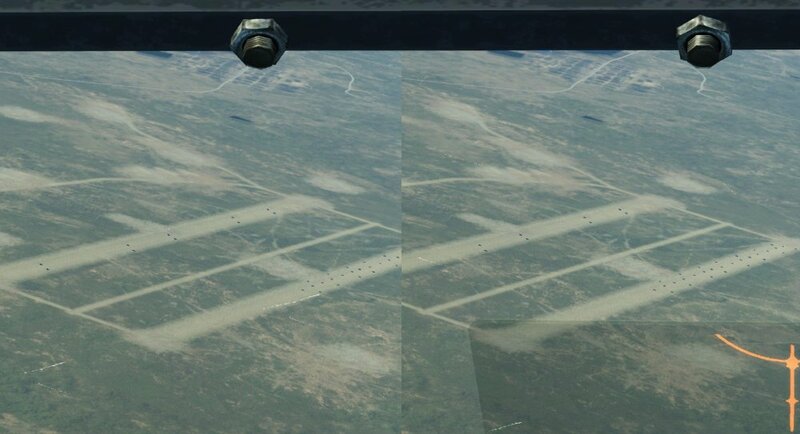 Airfield approach - all linked vehicles visible, only Opel and Zis static block vehicles visible. 3. 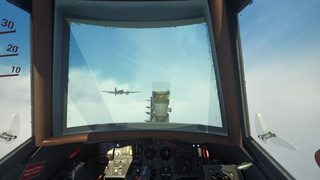 Flyby - some vehicles popping into view. Ghost vehicles as they appear visible. 4. More static vehicles popping into view. 5. More static vehicles starting to come into view. Your PC config data (OS, drivers, specific software): WIN10, all updated drivers, Nvidea 418.91, 2080Ti, no other mod programs. Duplicated with and without Lefuneste's mod. Edit: Added mission, screenshots of issue. 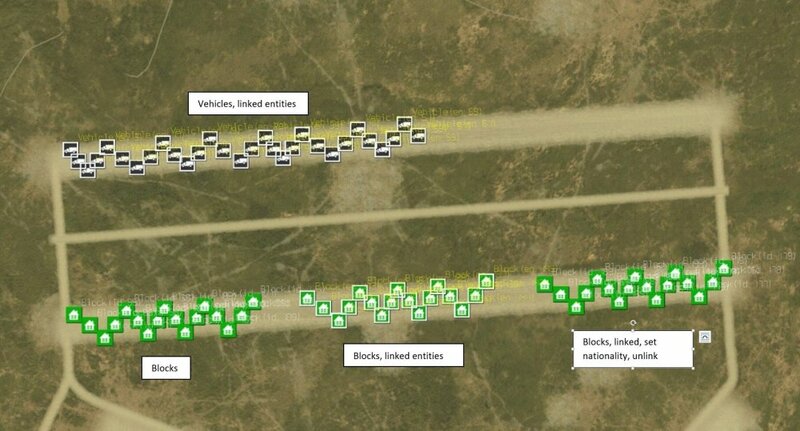 Brief description: VR - static vehicle blocks disappearing from view until about 300m away.0Ti, no other mod programs. I am also experiencing this bug and I do not use VR. may be you should change some parameters of your graphical settings - do you mind, if I make some suggestions for you? that being said, it doesn't really enhance your visibility to check your six. Change it to "SIMPLE". 3. Sharpen: I recommend you to change this option and have this checked ON. mitigate the stuttering problems. And it helped a lot in my case (see my specs, not bright too either!). 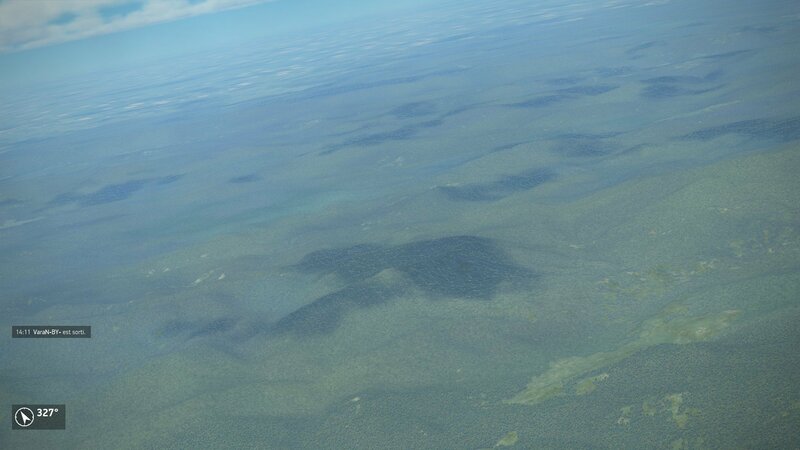 in getting rid of the mesh thing on forests. No. 1 is simple cosmetics, although it has a considerable impact performance-wise. As you can see in the screenshot, there are two different sizes for dugouts. All listed in Blocks in the Mission Editor, the small, correctly-sized one behind the Spit and 109 is 'dugout', the enormous one behind it is 'arf tower 2', but all of the 'arf dugout' series are the same size as this one. These are simply MUCH too big. Those oil drums by the KV-1 would be 3 metres tall! The over-large dugouts are at least two and a half-times larger than they should be. This was recorded on the Kursk map - it's going to look silly driving by one of those in your tank! PS the steps on the airfield tower equate to about five feet apart!